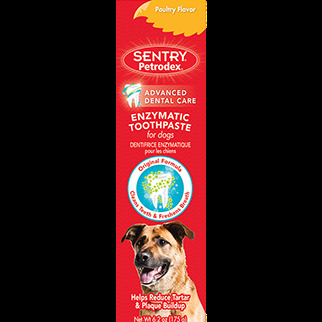 Dog Toothpaste formulated with patented enzymes. This non-foaming formula works hard but does not require rinsing. With regular use, it helps control plaque and fights bad breath. Best of all, it comes in a delicious poultry flavor that dogs love!